Folks like working with me. You will, too. John’s work clearly shows he has a strong grasp of the sports industry. He understands how to marry clean and effective design with a strong “wow” factor. His passion, creative vision, professionalism and attention to detail make him a strong asset to any franchise. John did a great job from start to finish developing new logos for our athletic department. He elicited feedback from various stakeholders on campus, was mindful of all of our recommendations, and was completely focused on getting the project done under a tight timetable. We were impressed by his ability to take our words and ideas and craft them into marks that represent the values of our department. The new identity has been enthusiastically received on campus and has already had an impact on recruiting new students to Agnes Scott. In a sea of schools with "W" names and an enigmatic mascot, John Hartwell led us through a creative development process that was both impressive and incredibly valuable. He listened to our concerns and aspirations, guided us through critical questions and decisions, and ultimately created an athletic brand that is a game-changer for our campus and community. The only thing better than the work is John himself. His enthusiasm and knowledge were appreciated through every step of the project. 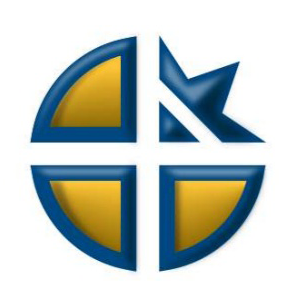 The creative minds at Hartwell Studio Works delivered an athletic logo that truly captures the essence of Cristo Rey Atlanta Jesuit High School. The team listened intently to who we are serving and what makes us unique among the many private schools in Atlanta. We couldn't be happier with the spirit the logo conveys and are confident it will serve our students for generations to come. Holy Spirit Preparatory School sought to leverage its athletics program as a communications asset to create distinction in a highly competitive independent school market. Engaging in a process that focused on confirming the institutional values and mission of the school in an athletics context, John Hartwell proved to be professional and thorough, demonstrating a strong grasp of the importance of the strategic goals of the project. Our new athletics identity represents the best that Holy Spirit Prep has to offer, creating an exciting and dynamic new presence in the Atlanta market. Creating a new, fresh and energetic logo and uniform scheme was extremely important to us. John Hartwell not only did a fantastic job in accomplishing this but he made the whole process easy and fun. The new identity has been enthusiastically embraced by our sponsors, season ticket holders, fans and local media. Georgia Perimeter College was in need of a new athletics mark that would serve as a symbol of institutional spirit and create a stronger sense of community within the school. John Hartwell took a leadership role in guiding us through the creative process, making the experience dynamic and fun for the entire team. The end result was a superior product that truly unifies and represents our diverse community. It is self assured, determined, energetic, strong, sporty and totally hip. Our thanks to Hartwell Studio Works for their extraordinary work.